I finally got my hands on the Raspberry Pi a few days back. My upcoming plan is to use the Pi as a Node.js server. 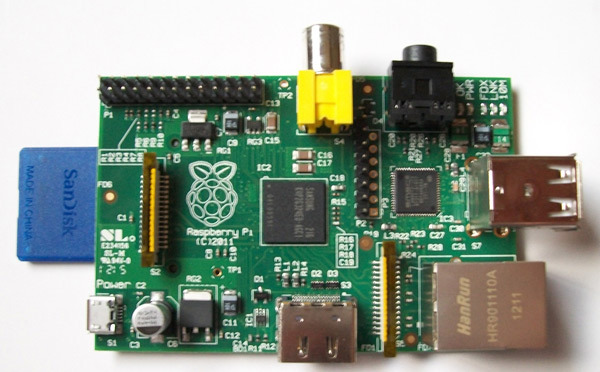 If you haven’t heard of the open, platform-friendly, inexpensive $35 Linux-powered computing platform known as Raspberry Pi by now, you better do so. Starting with the Auduino, this is surely the start of inexpensive open-source hardware computing. Think of your traditional PC motherboard with integrated graphics, network, sound, HDMI, and keyboard/mouse shrunken down to the size of a deck of playing cards, and you’ll get the idea of what the Raspberry Pi is all about. 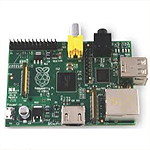 Driven by an ARM1176JZF 700MHz processor, the Raspberry Pi has 256 megabytes of on-board RAM and hardware-accelerated graphics. The primary step with the Pi was to burn the Debian “squeeze” image to a SD card, for which I used the SanDisk 4GB SDHC. There have been reported problems with using the microSD card with an adapter. Image was burned using the wonderful Win32 Disk Imager. The image file is around 2GB, so a 4GB card is a bare minimum to get a decent working Pi. Connecting to the net was easy as the Pi uses DHCP for configuration. Booting was extremely fast; dropping to the login prompt in less than 10 seconds. Another interesting thing to do next is run the IBM 4381 emulator on the Pi. Didn’t know about this project (arrived here to read your excellent explanation of closures in PHP), thanks for reporting it. Do you have, or will you please collect data, about the power consumption? I am curious if you actually got Node running on the Raspberry PI – considering that this is an ARM processor. Well, did you ever get Node running on your PI? If so, please share some of your process to get there. Otherwise, at least update the post and say you can’t do it and suggest when we should check back with your site. Sadly no! Just tested once and found a few problems during compilation, haven’t re-tested for a second time yet. Will try to do it sometime this month and update the blog.